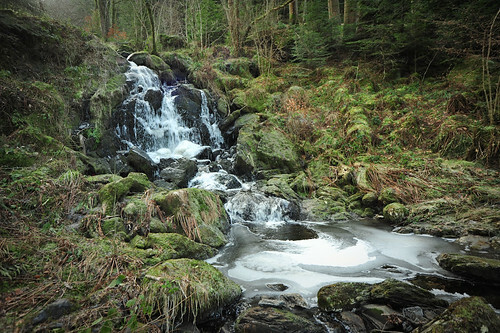 Frozen Waterfall, originally uploaded by davidrobertsphotography. Whilst out walking today round Llyn Elsi, I passed this frozen waterfall on the Afon Rhiwddolion, just by the Sarn Helen Roman Road at Betws Y Coed. An impressive sight! Llyn Elsi itself was completely frozen over, too.